Far from the crowds of Ibiza’s resorts and the kaleidoscopic whirl of its clubs, on a tranquil outcrop overlooking the Mediterranean Sea, a man surveys the view. The shimmering blue water stretching to the horizon suggests limitless possibilities, and for the man — DJ, producer, label owner, entrepreneur and philanthropist Black Coffee, real name Nkosinathi Innocent Maphumulo, Nathi for short — those possibilities have a good chance of being realised. This artist from Durban, South Africa, has become the country’s most globally celebrated electronic musician, playing to capacity crowds at enormous stadiums, DJing everywhere from underground institutions such as Panorama Bar in Berlin to gigantic festivals like Ultra in Miami, and working with R&B megastars Drake and Alicia Keys. 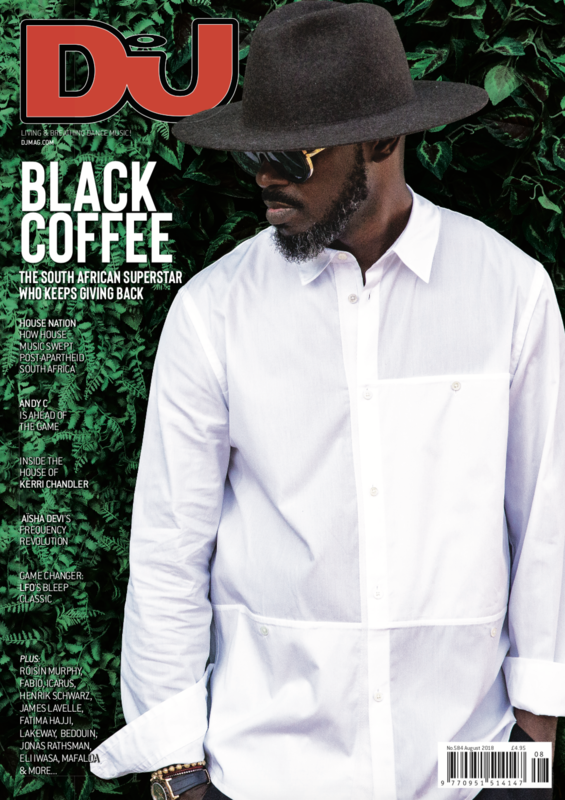 Black Coffee is on an ever-upward trajectory, after making a succession of award-winning albums and launching new artists with his Soulistic label. DJ Mag is here in Ibiza to digest the next chapter in his remarkable story so far. It’s early in the season, the sky is cloudless, and we’ve come to meet him near Cala Llentia, with its hidden gem outdoor sculpture Time And Space, made by Andrew Rogers. Spread out across the cliff-top scene, it’s a rugged patch dotted with ancient swirls of rocks, a Stonehenge-esque circle of standing stones, and wooden door-frames erected in incongruous fashion. It’s like a strange mirage; a cross between a Neolithic monument and something out of a Spaghetti western. Maphumulo’s latest big venture brings him here for a second season of the Black Coffee club-night, on Saturdays at Hï: an event at which he hopes to build on last summer’s success and up the ante, with new visuals, production, special guests, and a refinement of his unique sound signature. 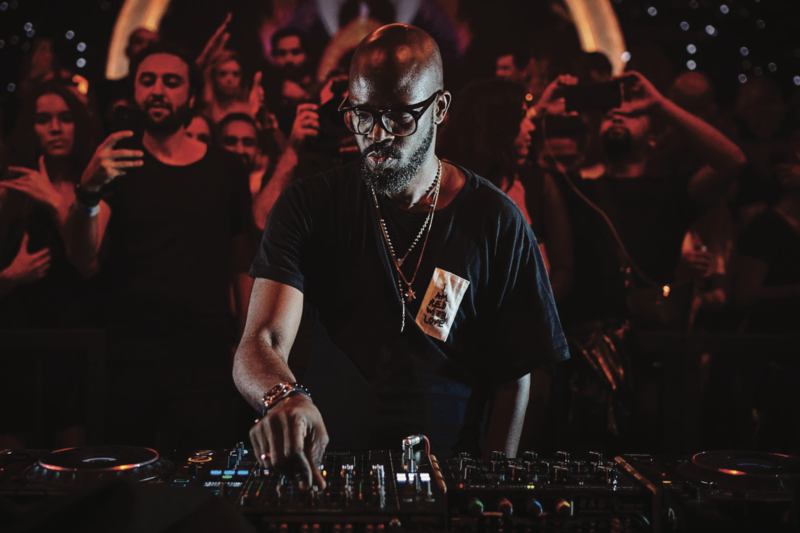 For those experiencing Black Coffee’s DJ sets and singular style for the first time, he might seem to have come from nowhere; but his rise has been the result of many years of hard work, dedication and self-belief, overcoming considerable hardships that may have dissuaded others from pursuing a career in music. When we meet, Maphumulo has just flown in from Paris, where he’s attended some high-profile fashion shows. In his relaxed and thoughtful way, he opens up about his gradual, but unstoppable ascension. Into music as a child, Black Coffee liked dancing to local disco and pop, plus international hits from Soul II Soul and Technotronic. He was inducted into DJing while he was still a kid, as part of his cousin’s mobile disco crew. In parallel to his burgeoning interest in playing dance music, as a teenager he formed the group Shana with Mnqobi Mdabe and Thandukwazi Sikhosana, a group influenced by South African musical traditions as much as contemporary electronic sounds. Though they were signed to the Melt 2000 label, they had little success. His springboard to fame was in 2003 when, after studying jazz at Durban University Of Technology and continuing to DJ, Black Coffee got the chance to attend Red Bull Music Academy (RBMA) inwith legendary, late South African jazz trumpeter Hugh Masekela. Black Coffee’s 2005 remix of Masekela’s song ‘Stimela’ would be an early breakout hit for the DJ/producer, drawing an explicit connection between South Africa’s musical past and future. This hook-up would also suggest a direction for Maphumulo to embark upon: combining his jazz training with the beats he’d become an expert at blending. 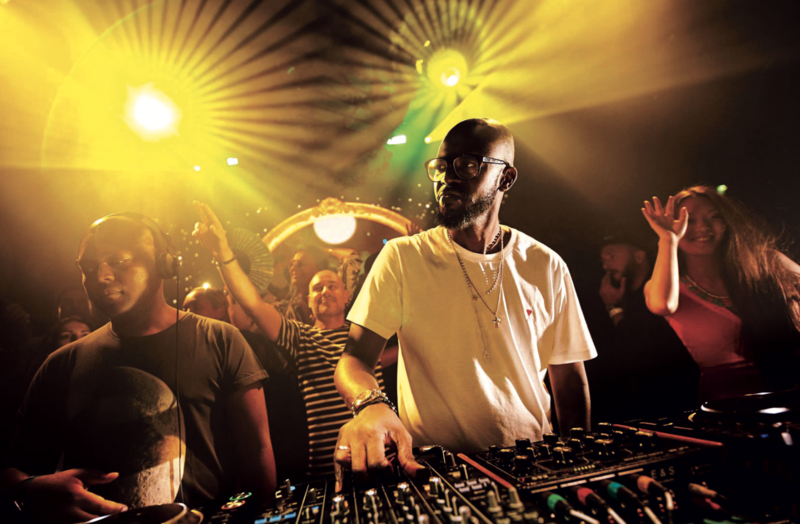 The Red Bull Music Academy stint effectively helped launch Black Coffee’s music career and showed him that he could stand alone; he could make music by himself without needing the affirmation of others. Feeling confident, in an interview at the time, he suggested that in a matter of years he would be one of the biggest producers in the country, a presentiment of what was really to come later. Black Coffee’s self-titled first album, released in 2005, drew on the considerable history of South African house (see feature on page 33), and also on the funk and Latin infused rhythms of New York producers such as Masters At Work and Joe Claussell and other American artists like Osunlade and Karizma, themselves influenced by African rhythms. ‘Kwanele’ combined distinctively African female vocals with lush, stabbing synth chords, Rhodes keys, looming bass and a shuffling groove. ‘Come Back’ had the jazzy chords and piano vamps he’d vowed to mix with dance beats. Here was a deep house producer with an individual and compelling approach, remarkably assured. The follow up record, 2007’s ‘Have Another One’, was a similarly bracing pick-me-up, packed with collaborations and songs that indicated Black Coffee’s adaptability. ‘Izizwe’, with late South African musical hero Busi Mhlongo, paired her vocals with lithe guitars and bustling percussion. Elsewhere, and quite different, was ‘100 Zulu Warriors’, made with fellow SA DJ/producer Culoe De Song: an aquatic, techno-influenced instrumental with liquefied synth loops and an unstoppably locomotive beat. As Black Coffee’s career took off in South Africa, his music was beginning to permeate the European market too, the respected French deep house label Real Tone licensing his cut ‘Even Though’. In 2009, he won two awards for third album ‘Home Brewed’ at the South African Music Awards, for Best Urban Dance Album and Best Male Artist, and in 2011, he performed a special live show at Durban’s Moses Mabhida Stadium, ‘Africa Rising’, in front of 8,000 people. 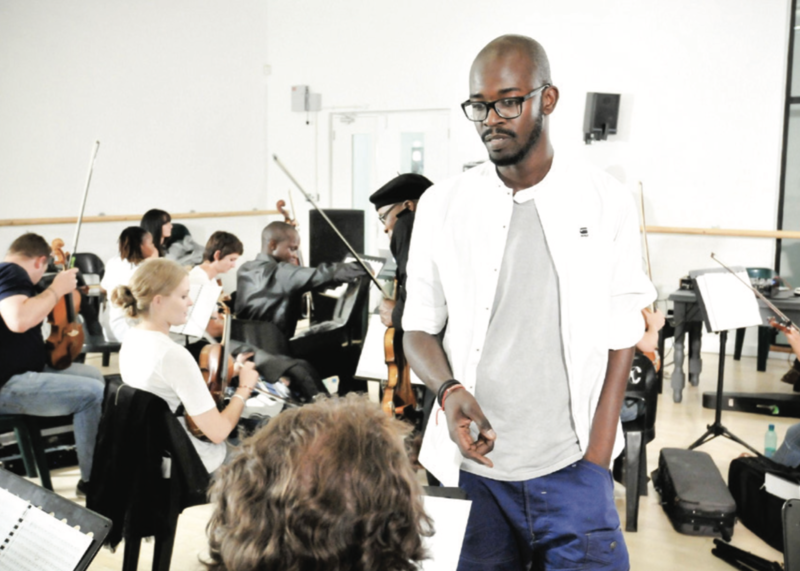 Black Coffee went stratospheric with the subsequent ‘Africa Rising’ album and live show: a DVD and triple CD that was certified double platinum in a month. All of this Maphumulo had achieved despite a serious disability. He no longer has the use of his left arm, which was paralysed in a serious car accident when he was just a teenager. During the celebrations after South African political leader and anti-Apartheid campaigner Nelson Mandela was released from prison in February 1990, Maphumulo was caught up in the festivities and was struck by a vehicle that ploughed into a crowd of revellers. After the big breakthrough of ‘Africa Rising’ came 2015’s ‘Pieces Of Me’ album, a platinum seller in South Africa, yielding several big singles released via Ultra Music in the States. Songs such as the 2016-released ‘Come With Me’, featuring the vocals of Mque, were slicker, more polished, suggesting a shift towards a more commercial sound — yet Black Coffee’s polyrhythmic percussion remained, along with lush African guitar and an inviting sense of space, making it far more danceable than your typical chart hit. He’s found a way to appeal to the pop market while keeping his deep house roots intact, something helped by the underground credibility of his Soulistic Music label which, along with his own records, has been an outlet for upcoming South African producers. The highly regarded Culoe De Song (who has released on Innervisions and Mule Musiq) has put out a steady stream of albums through the label, while Zakes Bantwini, Tumelo and Sai + Ribatone have also had success via Soulistic. Black Coffee has decided that,for now, Soulistic will be an outlet for his own material. To this end, Maphumulo has devised a potentially revolutionary new online music portal. Gumbox, he hopes, will become a new platform for pan- African artists to earn money in an independent way from their music. What Black Coffee wants to do is to bypass the interference of major labels or tech giants, who will inevitably pocket much of the profits from the music, while artists are left by the wayside. “We’re rewriting the music industry books in Africa,” he says. “We’ve always been told what to do, someone comes and puts their tents up and says, ‘Hi, I’m Sony, from America, sign here, this is how it will work’. ‘I’m Universal, I’m BMG, EMI’. We’ve just been plugging into people’s plans. It has been great and we have learned so much — but I feel like it’s time now to understand our strengths, and start planning our future. Our future can’t be planned by someone sitting in Stockholm. We also understand how we consume things. Spotify just landed in South Africa, and everyone’s like, ‘Oh yeah, they’re here to save us’. I’m like, ‘Cool, I’m on there too, but it’s not the answer’. The answer is only gonna come from us." 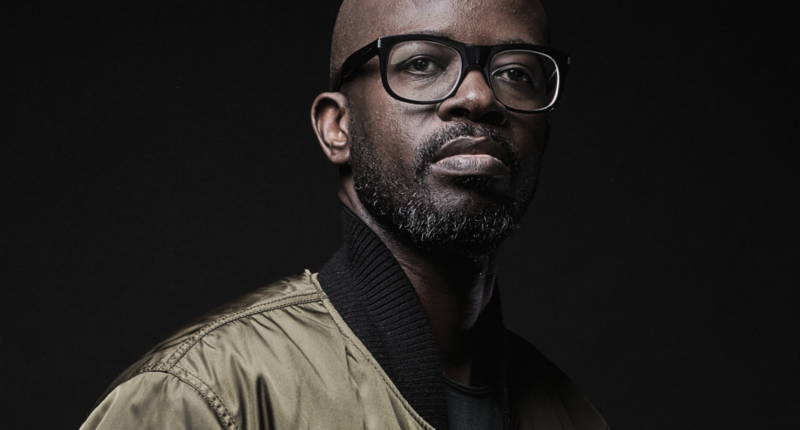 As the most globally visible South African star as far as electronic music is concerned, Black Coffee feels a sense of responsibility to his country. Having spent years and much effort establishing himself, learning the pitfalls of the industry (visible in the flecks of grey in his beard), he sees his position as providing an opportunity to help others, rather than pulling the ladder up behind him. A further philanthropic venture, the FAM Academy in Johannesburg, is his next big extracurricular project: a college dedicated to fashion, art and music, with American fashion designer Virgil Abloh (who works for Louis Vuitton) just one of the high-profile names involved. As a DJ too, Black Coffee is always searching for fresh artists to populate his sets. While they might feature tracks by Berlin house and techno specialists Henrik Schwarz or Dixon, or New York sensations Bedouin, they’re mostly composed of young South African producers: one way that Maphumulo stays a step ahead of the competition. He’s particularly impressed by the next wave of artists coming up at the moment (see above). It’s the kind of music that you can expect to hear at his Hï residency, which this year is bolder and bigger, as the new club (which occupies the same area as the now-closed Ibiza institution Space) establishes itself as a world-beating venue in its own right, and punters catch on to Black Coffee’s unique Saturday night offering. So far this season, he’s been joined by Damian Lazarus, Henrik Schwarz, Mandar and Jamie Jones, plus SA’s rising Themba and Da Capo; to come in August, there are on-point guests such as Honey Dijon, Benji B, Lauren Lane and Âme. Central to the night’s appeal, though, is Black Coffee’s original sound. If Maphumulo’s self-confidence seems unshakable, that hasn’t always been the case, especially when it’s come to playing in Ibiza. Before his first gigs he experienced a sense of trepidation, unsure of how his brand of house music would go down. 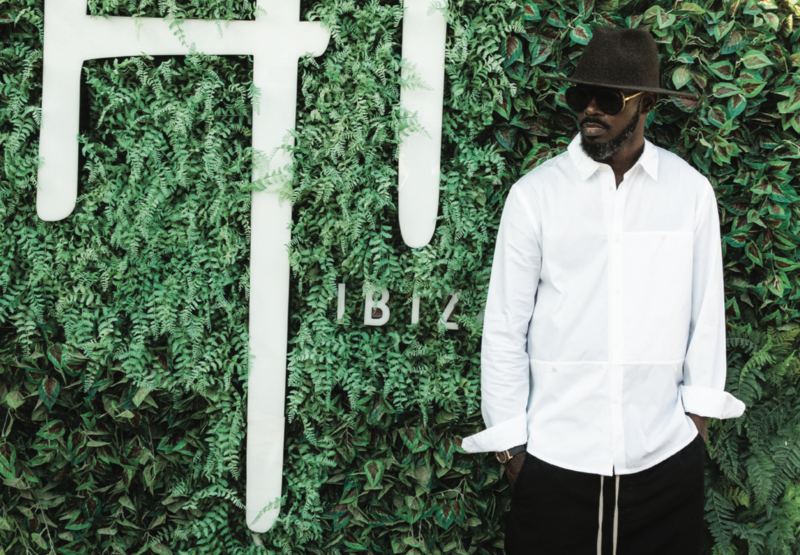 Even now, Black Coffee won’t become complacent, arguing that he’s not quite as well-known to Ibiza club-goers as some think. “I’m still nervous and under pressure. One example is, my team was saying, ‘This year, how about we put a lot of artwork on the billboards and maybe a few Black Coffee pictures?’ To them, it’s like it’s done, we’re in. To me, it’s not. You might think my face is recognised, but I don’t think so. We still need to be out there, so we have 80% pictures of Black Coffee and 20% artwork. This drive to up the stakes every time keeps Black Coffee focused and sharp, and his mind is already on his next manoeuvres. Collaborations with big US rap and R&B stars have been suggested, after Drake sampled a sizeable chunk of Maphumulo’s track with Bucie, ‘Superman’, for his tune with Jorja Smith, ‘Get It Together’, last year. Overall, he reckons it was a positive thing, though a few fans balked at the Canadian megastar’s treatment of one of their favourite songs. A new album is promised soon, but before that, there’s a single on the way that might surprise fans of his deep house material especially: a collaboration with one of the biggest EDM and pop stars in the world. Want more? Read our UK July cover feature with the one and only Sasha.